Yum Cha serves probably the most instagrammed dim sum in Hong Kong and I had the delight of experiencing it in their brand new branch in Central with hubby and my cousin, one lovely Friday afternoon. Planning a trip is one of my favourite things to do. Whenever I travel, I always make sure that I know what I want to visit at the destination and of course, being the ultimate foodie, what I want to eat. 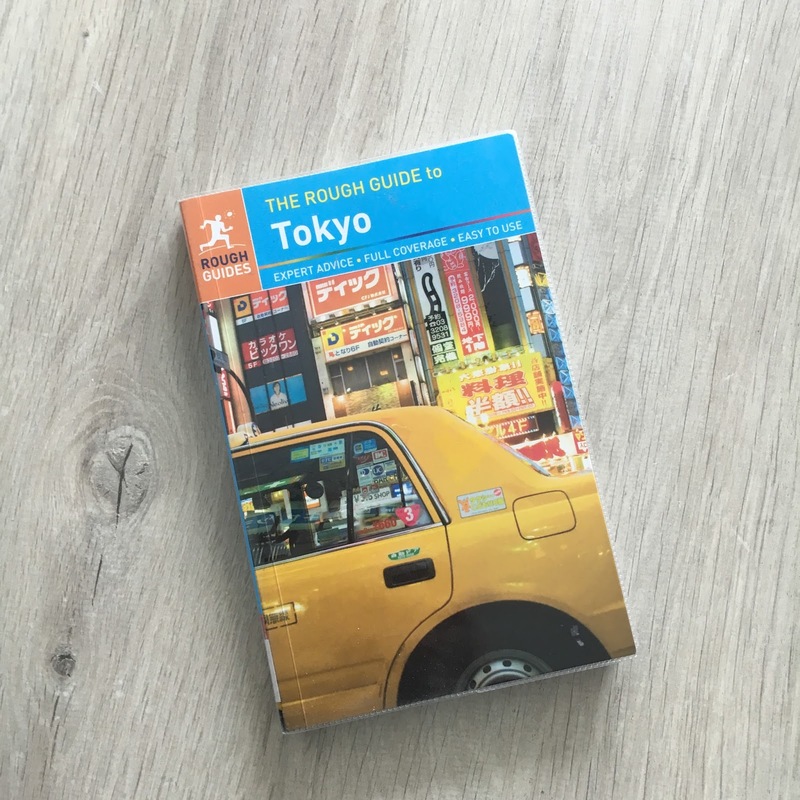 When we booked and confirmed our short trip to Tokyo this May, I was so excited! 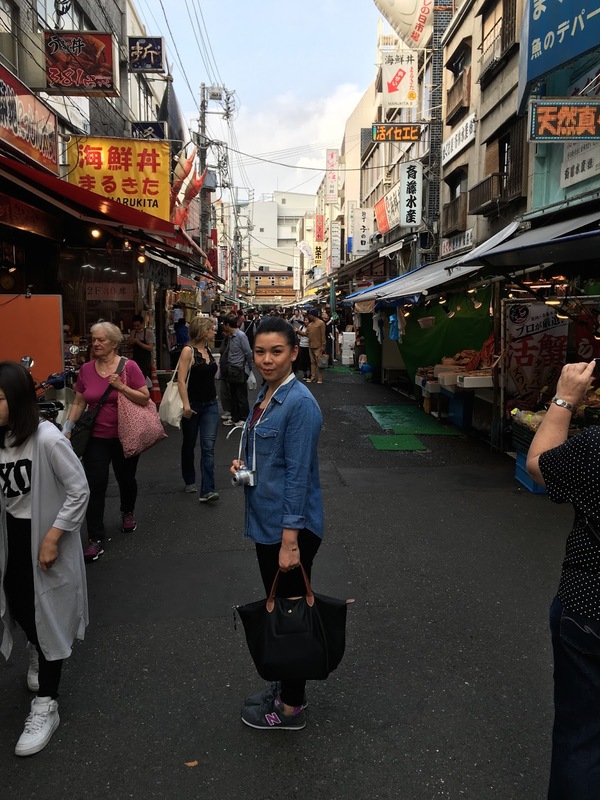 I started researching straight away and here I share with you my top 5 tips on planning a trip to Tokyo. 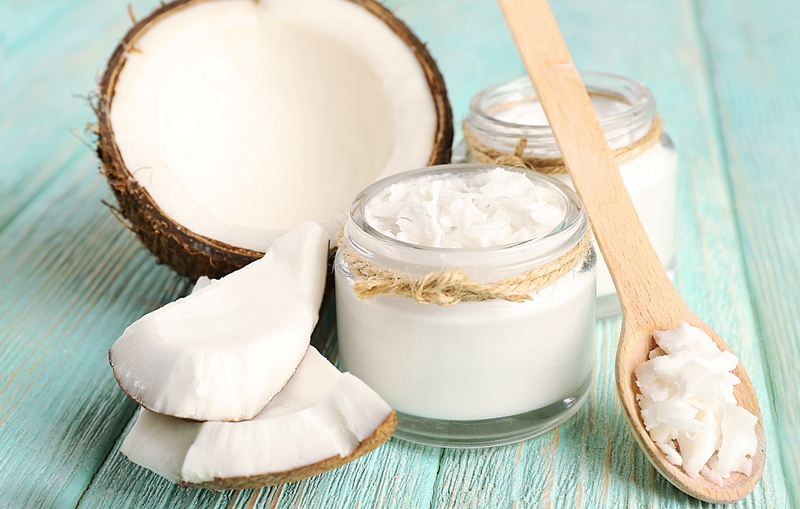 Have you heard of Coconut Oil Pulling? After buying a jar of coconut oil from Borough Market, I wasn't sure how I would use it. Then one day, I asked Google for a few ideas and that's when I came to read all about Coconut Oil Pulling. The Mira is our "home away from home" when in Hong Kong. Located in busy Tsim Sha Tsui area in the corner of Nathan Road and Kimberley Road, nothing is too far away from The Mira and you are more than looked after when staying here. This is a different kind of post from my usual food related ones. MOTT32 is a new restaurant (for us) in Hong Kong that we got to try during this trip. It has been recommended by a friend and having read many bloggers raving about how awesome and mind blowing the food is here, I had to check it out myself! Today, we move away from the busy city of Hong Kong and make our way to Sai Kung Fishing Village, located to the East side of New Territories, for a very different side of Hong Kong. It is my first time in Sai Kung and I am very excited! Forget dieting, forget healthy eating rules and just immerse yourself in the local food culture. Hong Kong is a foodie's paradise and there is no way, one can truly experience Hong Kong without eating your way around the city! I have read about this place on many food blogs and had to check it out. We arrive around 10am on a weekday and as expected, there is already a queue at the door. This is normal for popular places in HK. Do not be put off as the queue here moves fairly quickly and for a seating of 2, we are quickly seated within hardly 10 minutes of waiting. Peak time is during lunch time 12- 2pm, so avoid these times or be ready to queue up for 30-45 minutes. I have been travelling to Hong Kong pretty much every 2 years since being with hubby as this is where he is from. Yet, for some reasons I have not really blogged about it! 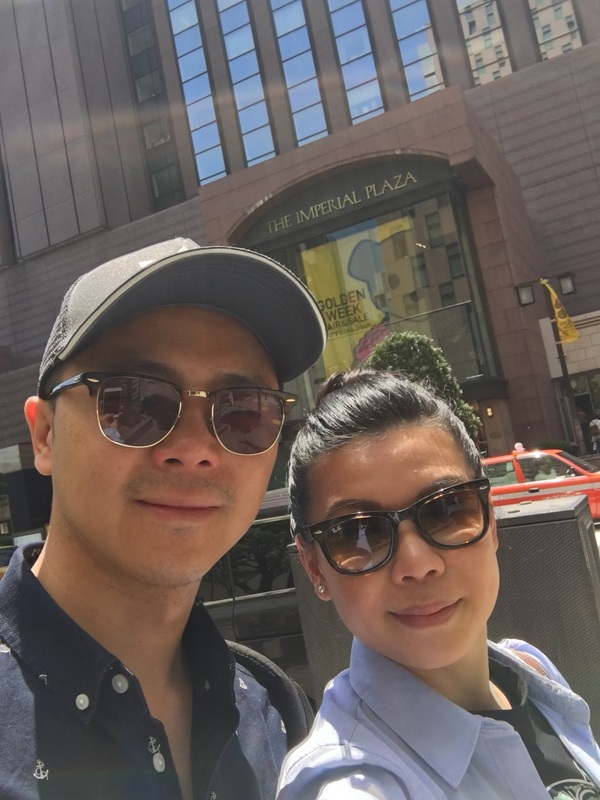 Maybe it's because our Hong Kong trips are usually jam-packed with family gatherings and too much eating, and when we come back, it is basically a struggle to get back to our normal routine! This time though, I got organised and decided that Hong Kong is such a fantastic destination for a holiday that I had to share my experience! If you know me by now, you will know that what I mean is I will share with you all of my favourite places to eat and the new restaurants we have tried during our trip and then of course, some other fun stuff to visit and do! Hong Kong is a vibrant city and constantly changing with new restaurants and shops popping up everywhere and all the time! This has made no two trips to Hong Kong the same, and we are always so excited to be back. On this blog post, let's start with some travel tips for the newbies. If you have never travelled to Hong Kong before, these are some basics I think would be helpful to know before getting there. In my opinion, in order to understand where you are going and how to get to places, you need to understand where you are. 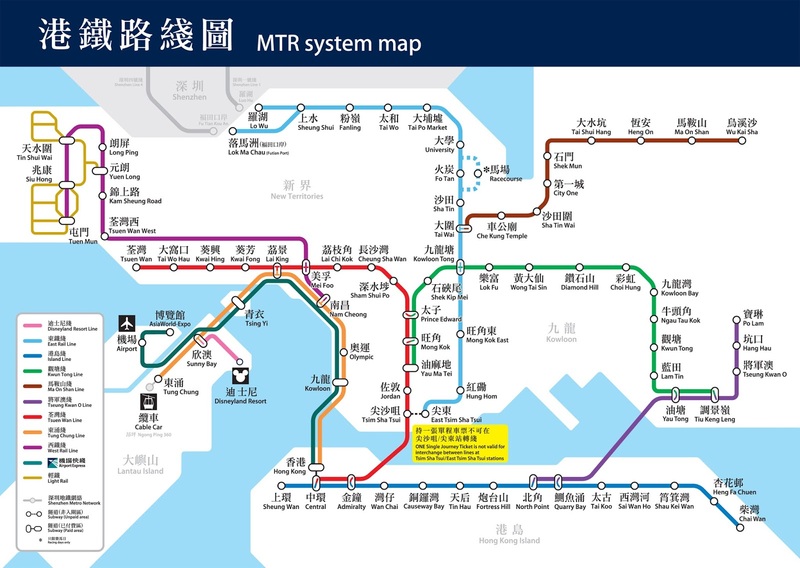 Ok, so this is not really a HK map, but this is a map of Hong Kong MTR (the metro), and it is just perfect to explain how Hong Kong is set. This is pretty easy. Hong Kong is one of the most efficient countries in the world and once you have landed, if you do not have a limousine and chauffeur waiting for you, there is no need to panic. Oh, and NO! Do not take a taxi into town because that will cost you a lot! To note: When you travel by Airport Express, there is a complimentary shuttle bus which takes you straight to some hotels. You can find the list by clicking on this link. 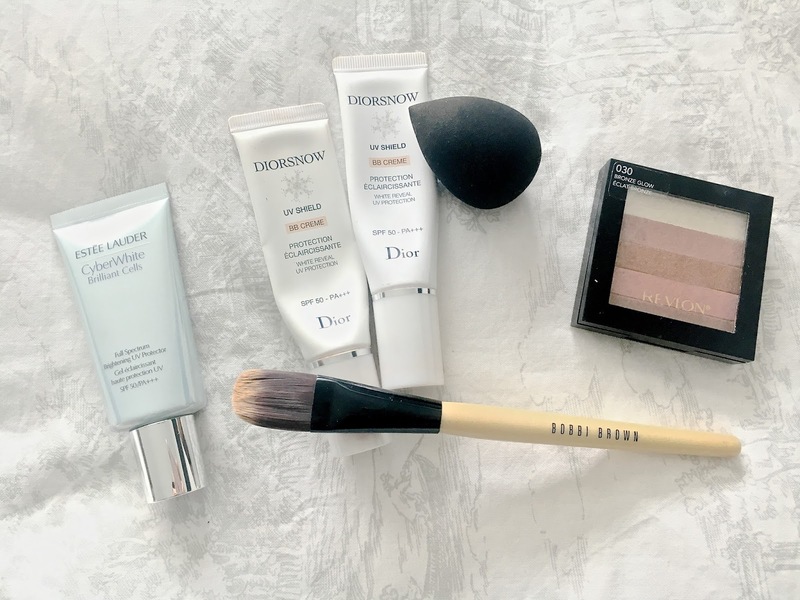 If, like me, you enjoy making the most of complimentary services, try booking a hotel on the list or one that is located near the hotels on the list, and that will be your transportation sorted! This is what we do on every trip and we love how convenient it is. The simplest way to get around is by MTR. 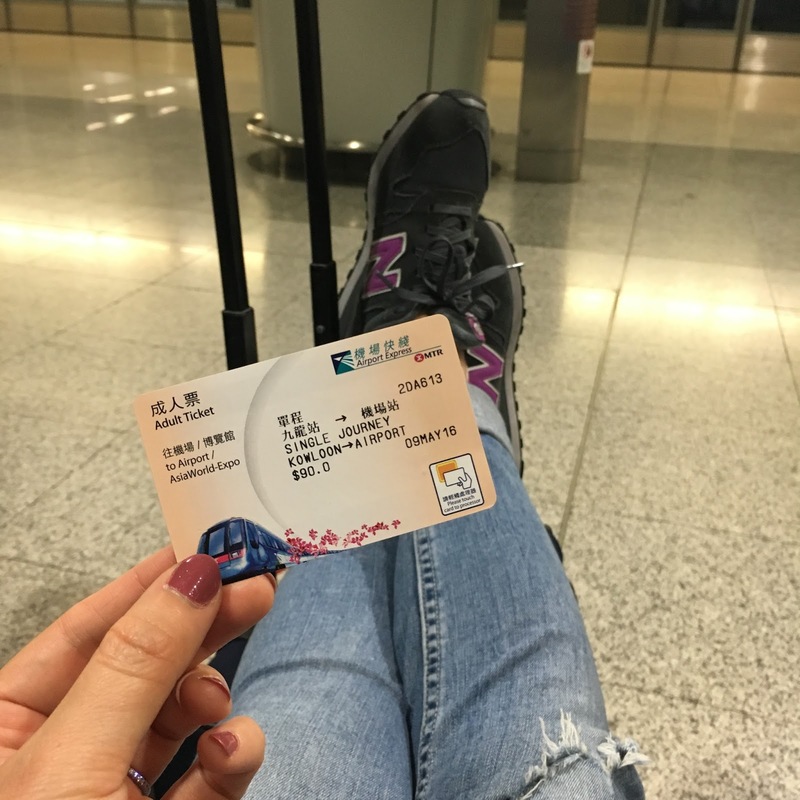 Get yourself an Octopus card from any MTR station, which is the equivalent of the Oyster Card in London and you can get on any MTR and buses in town. If you are not sure how much traveling you will be doing, best to keep it as a 'Pay as you go' option and at the end of your trip, if you still have money on it, you can return your card to any Customer Service Centre and you will have your remaining balance and deposit refunded to you. Hong Kong offers lots of options in terms of accommodation and all really depends on your budget. Most people who visit Hong Kong will usually stay around Kowloon or Hong Kong Island, simply because this is where everything happens. Separated by the beautiful Victoria Harbour, it doesn't matter on which side you are looking at, the view is just amazing. I find that hotels are usually cheaper on the Kowloon side, although, that doesn't mean that they are less luxurious! Kowloon is considered to be the more traditional and the older side of Hong Kong, while Hong Kong Island is the more westernised and modern side. I personally prefer to stay on the Kowloon side, more specifically in Tsim Sha Tsui, because it has lots of character and feels very authentic. I do admit however that Hong Kong Island also has lots to offer in terms of shopping and restaurants, so I end up travelling a lot across Victoria Harbour by MTR or by the Star Ferry to cover both areas! Now that we are all settled, it is time for the adventure to begin. Check out my next post to find out more about Hong Kong and what we have been up to!